This isn't an X is better than Y post. I love Express, I still think it's a really great module and I've used it successfully in many projects. 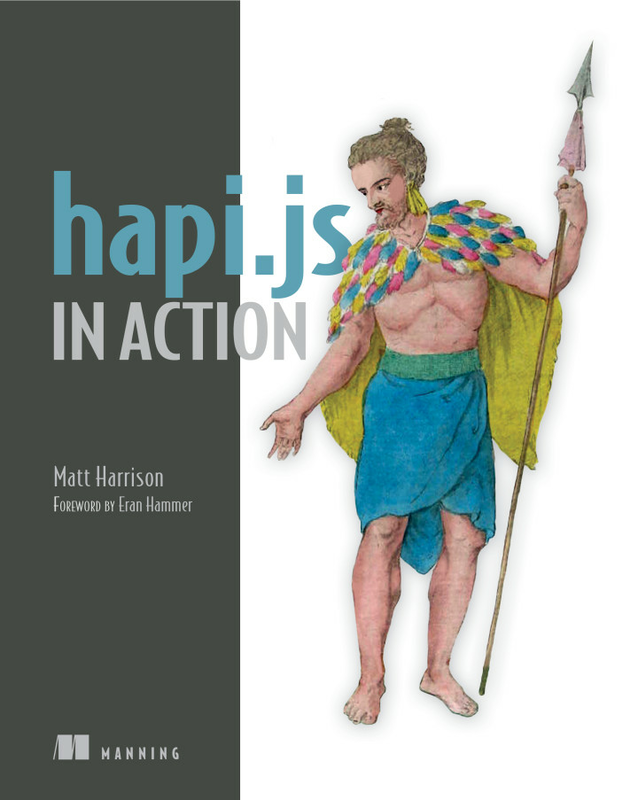 That being said, I'm hearing good things about Hapi.js (referred to as Hapi from hereon in) recently which is another HTTP server framework for Node.js. So I figured it was time to check it out. As most people who I imagine come to Hapi, I have experience with Express and I'm wondering how it differs. This post is an in-depth examination of the 2 frameworks; their offerings, similarities and differences. It will split over 2 posts. This is part 1. Note: Part 2 has been temporarily delayed whilst I work on a Hapi Book (Hapi.js in Action for Manning). I'll post a discount code for my readers once the book is released. Hapi was developed by Eran Hammer and the team at Walmart labs, who found that Express wasn't meeting their needs for maintainability and extensibility. hapi was created around the idea that configuration is better than code, that business logic must be isolated from the transport layer, and that native node constructs like buffers and stream should be supported as first class objects. But most importantly, it was created to provide a modern, comprehensive environment in which as much of the effort is spent delivering business value. Arguably the simplest thing to do in either framework is creating a server that binds and listens on a port. Nothing too different here except Hapi takes a port number as you initialize a server rather than at the listen stage. Personally, I prefer this subtly different approach because it reduces the distance in code between creation and configuration of the server. The reason I've also shown this example using only the http library is because I want to highlight a difference between Express and Hapi. Node's http.createServer takes a callback as an argument and it is this callback that will be evaluated with each HTTP request to the server. The call to express() returns a function (named app above) which is a callback which can be passed to http.createServer. So essentially your whole Express app is a callback for node's built in http server. In fact, Express' listen method is just a wrapper around both of Node http's createServer and listen. In contrast, Hapi's constructor provides a instance of a Hapi server which is essentially its own universe and is mapiulated using its API. I find Express's one-to-one mapping to the built in node module here quite natural and elegant. Without routes your server isn't very interesting. This is where the 2 frameworks start to diverge a little more. If you have the need to dynamically generate routes from some external config, I feel Hapi would be cleaner here. For a good example of this being done, check out the hapi-ninja example on Github. In all but the most simple route handlers will need to do some examination of the HTTP request. Whether that's looking at request headers, decoding the body into structured data (as with form data or JSON) or reading cookies. Hapi provides much the same data as Express within its request object with some extra sugar for authentcation and domains. Hapi provides access to the node request object through a property request.raw. Hapi defines a request lifecycle with predefined 'hooks' or extension points that plugins can 'hook into' e.g. onRequest, onPreAuth and onPostAuth. For more info about Hapi's request object, read the docs. Express wraps the http.ServerResponse object, which offers basic methods like setHeader(), write() and end(). res.send in Express can take various data types (string, Buffer, object) and will set the appropriate content-type and convert the data to a Buffer for writing into the response stream. Express also has a res.render() method. In my opinion this is one of the most useful Express features if you're making a website. res.render() takes the path of a view file which can be html or a template written in a template language, such as jade or ejs and a set of local variables to be passed to the view. The rendered HTML is then written into the response. An optional callback parameter will receive the rendered HTML as a parameter in case you need to do further processing or inspect the HTML before before writing it out. In Hapi, the second parameter in a handler function is not the 'response' object, but rather an object called reply. When reply() is called as a function, it will return the response object and continue executing through the rest of the handler function, and in process.nextTick(), it will send the response. This means after calling reply() you can still modify the response until the handler function returns. Like Express, you can pass reply() a variety of data types and it will figure out what it needs to send. Hapi's response object manages things like setting headers, etags and performing redirects much in the same way Express does.